A bold and beautiful personality, an incredibly talented actor, Kangana Ranaut goes by the title of ‘the most fashionable lady’ of Bollywood. From her debut film till today, she has always made headlines with her style statement. Whether it is the simplest casual or the most elegant saree, Kangana flaunts it with effortless élan. Her unique and innovative fashion sense has made her every photographer and designer’s delight. A true style goddess, she can be edgy, quirky, uber-chic, sophisticated, or adventurous- everything at once. As the star turns 32, we revisit some of her best looks and the outfits that we love on her! Her retro-inspired look in this heavily embellished jumpsuit at the Cannes Film Festival remains an all-time favourite. 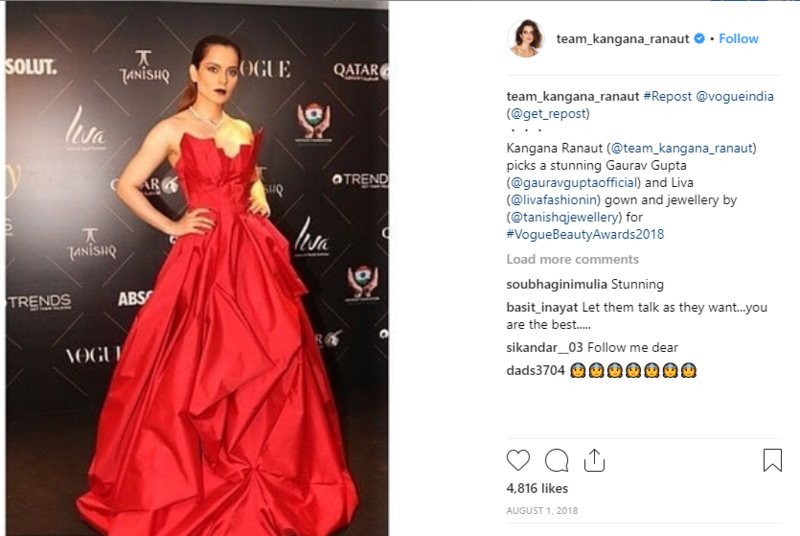 Most Indian women love the saree but very few can make it a chic outfit like Kangana. She has turned this six-yard fabric into her latest statement in travel fashion. She is the ultimate princess in this Cinderella gown at a photoshoot. 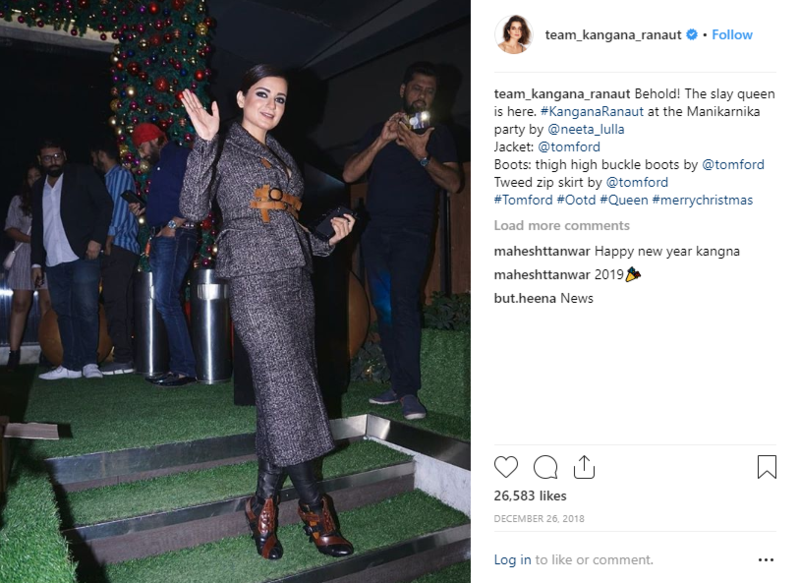 At the launch of her recent film Manikarnika, she pulls off the classy formal look in tweed skirt suit and boots. 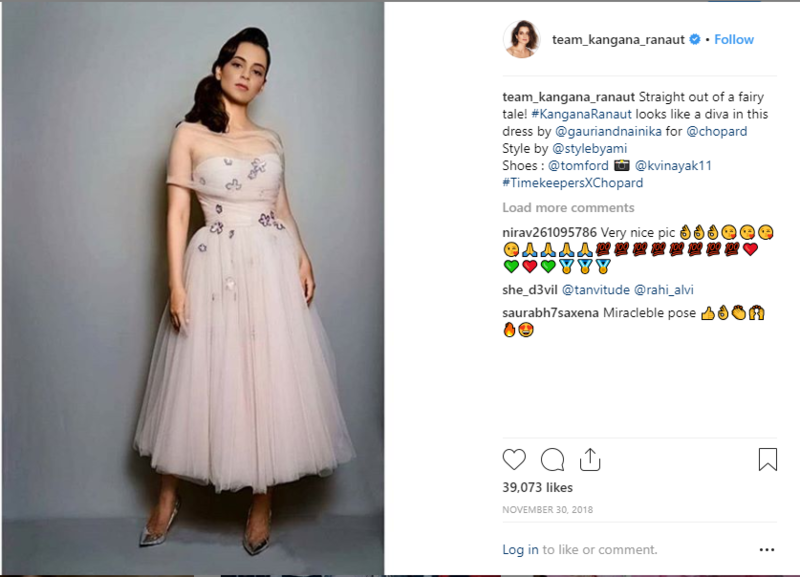 If fairytales were real, Kangana would be a princess from a faraway land, in this dreamy floral dress. 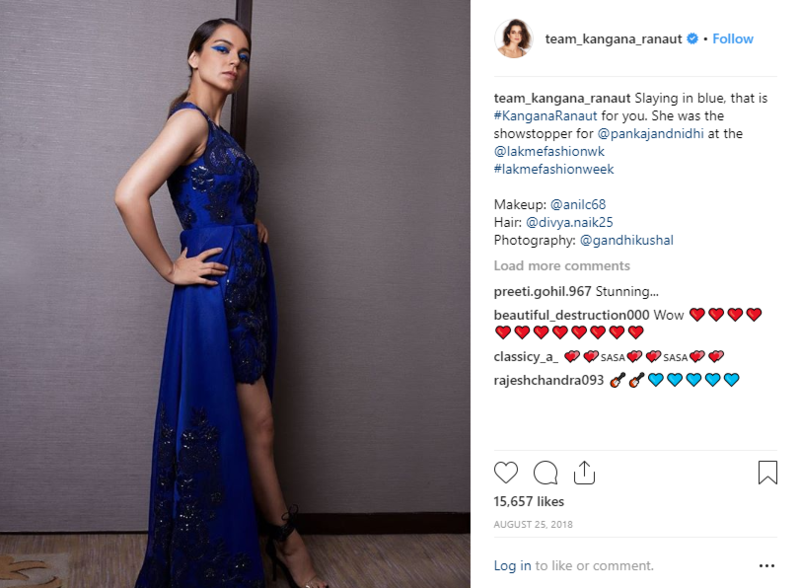 A true showstopper, she made all heads turn at the Lakme Fashion Week last year in this royal blue ensemble. Formals don’t have to be all black, white, or grey. 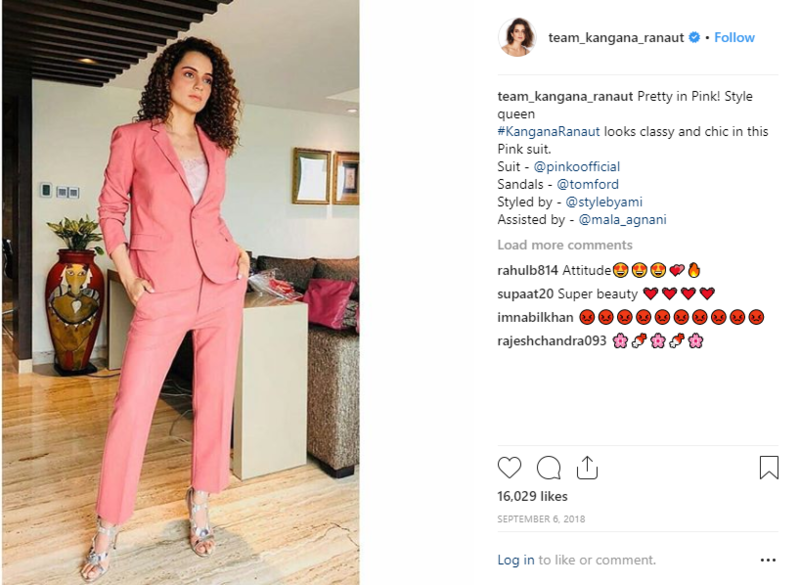 They can be pink and cheery, and Kangana shows it how. She takes us back to the good old days with this vintage style frock with English rose motifs. 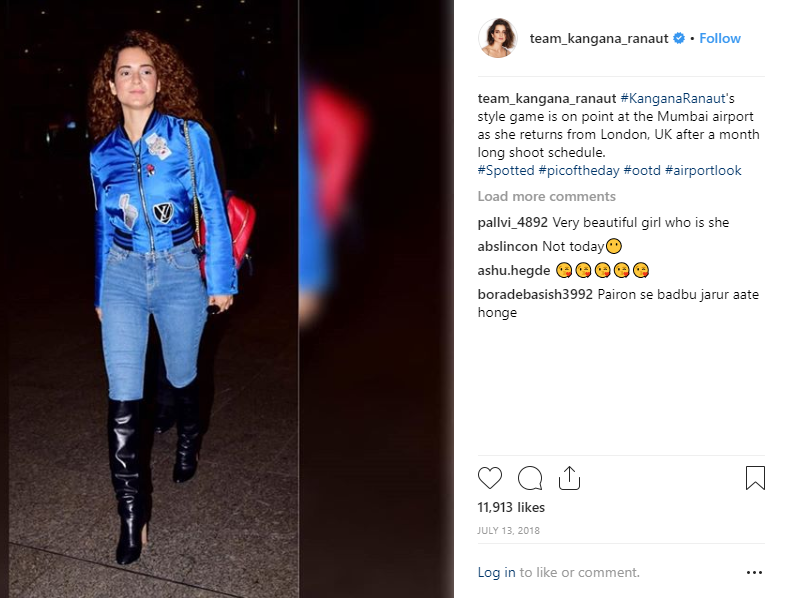 Bold and quirky, an all denim ensemble can make a statement, when Kangana flaunts it. She personified the little red dress at the Vogue Beauty Awards, 2018. 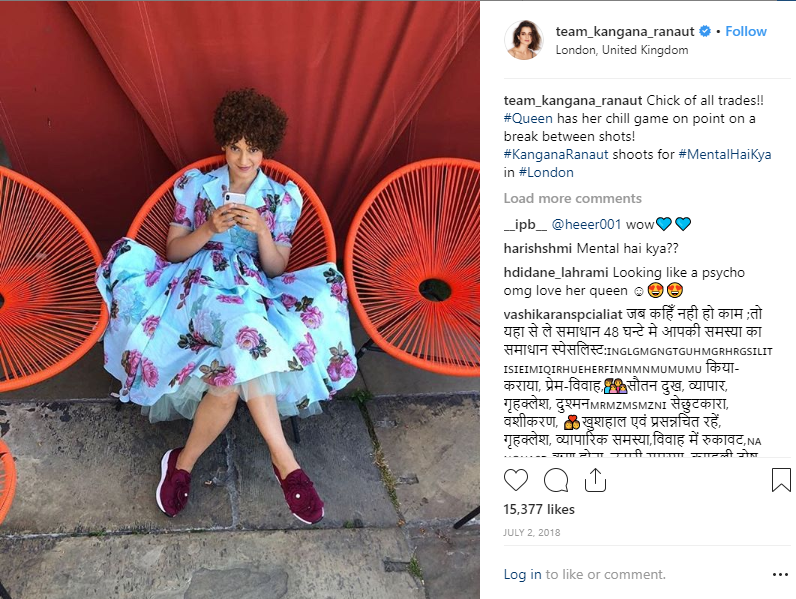 With these and many more instances, Kangana Ranaut remains an ultimate fashion icon.